Audiences will be dancing in their seats to the throbbing disco soundtrack of Talley Beatty’s Stack-Up, in which patrons in a crowded disco dance with attitude, sass, and fierce despair. “Quite simply, the event of the season” (HuffPost). Members Don’t Get Weary by longtime Company member Jamar Roberts is set to jazz legend John Coltrane’s recordings. “As emotional as it is virtuosic” (The New York Times). Artistic Director Robert Battle’s Mass is a mesmerizing large ensemble work that emphasizes the Ailey dancers’ “heroic vitality” (The New York Times). Robert Battle’s Ella matches iconic singer Ella Fitzgerald’s virtuosic scatting with lightning-fast, articulated movement in a “fast, ferocious, and playful” (Chicago Tribune) tour-de-force that leaves audiences (and the dancers) breathless. Billy Wilson’s The Winter in Lisbon is a sizzling, sensuous ballet celebrating four decades of Dizzy Gillespie’s brilliant music. This “onstage party with rhythm, color and surprises” (The New York Times) pays tribute to Gillespie as the consummate jazz musician, creating an atmosphere in which the dancers challenge, tease and romance. 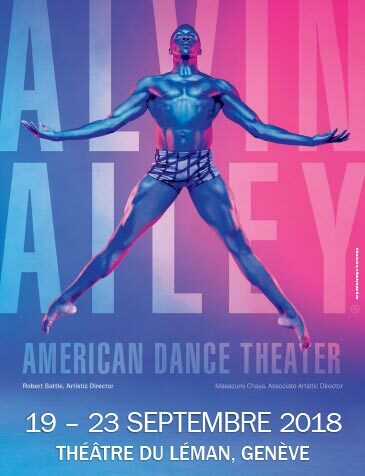 All performances close with Alvin Ailey’s beloved masterpiece, Revelations, the world’s most popular work of modern dance which “cannot fail to move” (Vogue).